Plato said, “The most effective kind of education is that a child should play amongst lovely things.” as, since the beginning of time, children have used play elements to learn how to be adults. From the ancient Greeks hoop rolling through the 19th century game of “Graces” to the Easy Bake oven to G.I. Joe to the Barbie Digital Closet; games and play have always helped teach children in an innovative fashion. Imagine a football field without rules. It’s not fun, nor is it a game as it doesn’t engage or motivate the people in it. What makes a game fun and competitive and what makes a competition motivate the participants are the temporary “rules” that are in place in the said magic circle. A child who picks up a stick, to sword fight the imaginary Captain Hook or Darth Vader has set temporary rules that make the play fun. One could NEVER defeat Darth Vader with just a stick! This is an Industrial Strength Light Saber! So as we travel back to our semi-engaged online learner with wandering attention, what better technique to act as a guardrail to ensure the learner stays on track than a game or play or fun? The Strong, an educational institution dedicated to the study of play and curators of the Museum of Play in Rochester (you must visit!) have identified 6 fundamental elements of play – Anticipation, Surprise, Pleasure, Understanding, Strength, and Poise. If we view these as tools in our toolbox of “ways to keep learners engaged” and then marry them with game mechanics, game elements and digital capabilities, it’s easy to see how we can offer enough support to our online learner to keep them challenged “just enough” (Mihaly Csikszentmihalyi’s “Flow” state) to help them stay on task and stay engaged with their lessons. We know games and play are powerful motivators. The average American spends more than 100 hours a year playing video games. We know about the motivational impact and the glory and shame of the leader board. We know the value of an unsolved puzzled, unkempt crops or friends without words to alter our behavior. As we evolve further as humans and bring our technology into the 21st century, don’t we owe it to ourselves to also build on the learning practices of the Ancient Egyptians, Greeks and Romans into a digital world of games, play and fun to help educate? We sure do, don’t we? And we can start off by attending this exciting webinar on “ELearning: Where do serious games make most sense”! Click here to get yourself registered today. 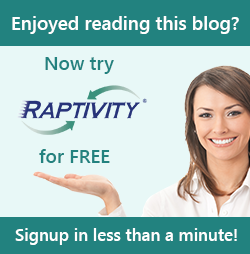 Note: This blog has been posted by Raptivity Marketing Team on behalf of Ross Smith.